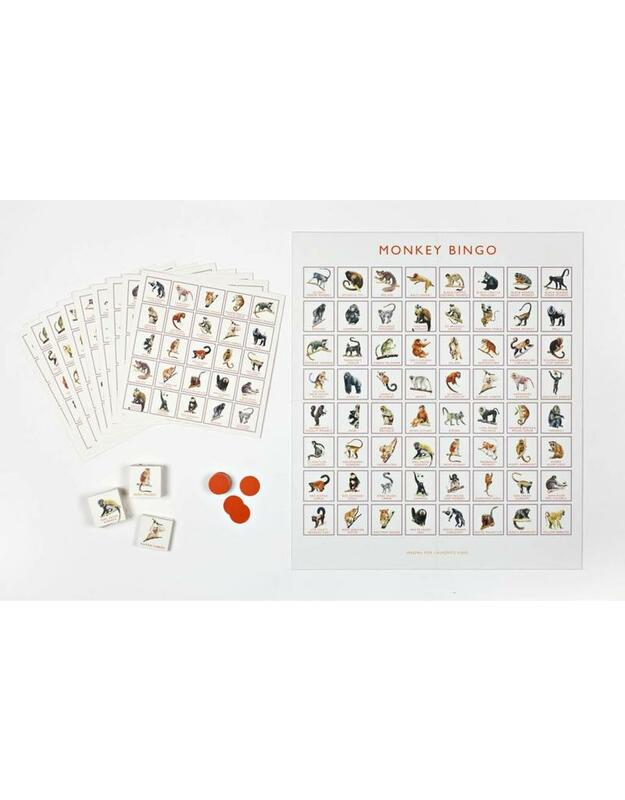 This family-friendly game is packed with cheeky monkeys and other mischievous primates from all around the world for hours of bingo fun. It features such firm favourites as the ring-tailed lemur and the chimpanzee, one of our closest living relatives, as well as more unusual creatures like the mustachioed emperor tamarin and the tiny, carnivorous western tarsier, whose eyes are as big as its brain and whose head can rotate 180¡ in either direction. 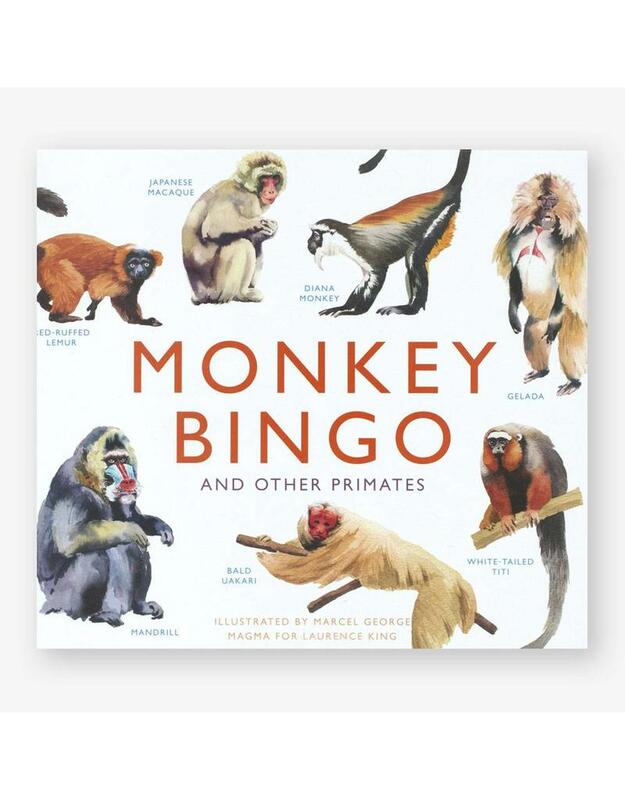 Boasting 64 weird, wonderful and beautiful species, Monkey Bingo is filled with fun facts and glorious illustrations that are guaranteed to delight monkey lovers and novices alike. Mark each species off on your card as it's called and be the first to shout BINGO! Marcel George specialises in watercolour illustration and has produced work for clients including the Financial Times, Esquire, the Wellcome Trust and Bloomberg.